Which Song From NBTT do you want to hear live? 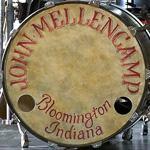 John Mellencamp Community > MELLENCAMP DISCUSSION > Polls > Which Song From NBTT do you want to hear live? Question: Which Song From NBTT do you want to hear live? What song do you think would song great with the band rocking out. An example Ill give is "If I Die Sudden" for me sounded amazing live and lackluster on the album. Which song from NBTT needs the rocking band support? Re: Which Song From NBTT do you want to hear live? I think I got my answer now to that after seeing the Travis Smiley performance of "West End" I immediately made it an mp3 and enhanced the sound a little bit, just awesome. I like the song on the album but when you the band together like on the show theres just something magically about it. Cant wait to hear it live now!! 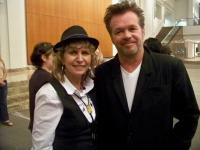 I heard him perform "West End" in Windsor a month or so ago, a more rocking version. JM always knows how to arrange a song. It kicked *ss. I love the Tavis Smiley version as well, more stripped down and organic. I cannot wait to see this theater tour! Interesting, so West End live was an even more rocking version than the one on Tavis? Very interested. C'mon people whip them phones out at shows and get it up on YouTube! Ha! I've listened to NBTT a few times through now, and I'm still not fond of a few of the songs, specifically Graceful Fall, Don't forget About Me, No One Cares About Me, and Each Day Of Sorrow. I know that it's mainly me, I just don't like that kind of music. I have been the one, all along, that was so looking forward to this CD. I have always been impressed with the stripped down and acoustic versions of songs, I think they present the material in the way it was written to sound originally. 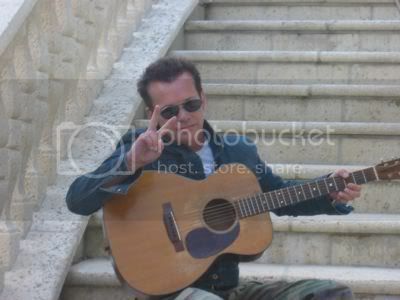 I also said many times that I wished that JM would take the lessons of TNM and create his own music in those styles. For the most part he has been doing that recently and blew me away with LDLF. I thought it was a masterpiece. I like the concept of this new CD, the more folk type songs, but I just can't get into the Sun Studio type sound. I am beginning to think that it has a lot to do with the other musicians used during the recording of this CD, I did like the live version of DFAM on Tavis Smiley with JM's own band much better. That said, I absolutly ADORE "Right Behind Me", one of my favorite JM songs of all time. I wish I was listening to a whole CD of that. I am a little disappointed that it was the only song from the Robert Johnson location that made the CD, I wish there were more with that sound. I can just picture JM and the band, the way they play Don't Need This Body, with that plunking guitar and Mirian's fiddle, and everyone leaning in, at once, to say my favorite line in the whole CD................."NO!". Every time I hear that part, I laugh out loud! They had to have recorded more cuts in the hotel room. They put parquet flooring over the carpet - don't think they'd do that for just one track. But who knows. Someday The Rains May Fall from the NCIS 2 soundtrack is also from the San Antonio sessions. I know, I like that one a lot too. Wish it had been on this CD for more people to hear.